DexCom is in the news today. The stock is getting whacked, we hold these truths to be self evident since everything is getting whacked. Some press is about DexCom and not making earnings this quarter. That is par for financial press. I find more interesting the news that they are entering into an agreement with Edwards Lifesciences Corporation, "to develop products for continuously monitoring blood glucose levels in patients hospitalized for a variety of conditions." The deal brings cash to DexCom and helps get the product into institutional markets. I would think that a wider market for DexCom products is a good thing. Of course your interpetation of how this all shakes out is up to you. I like the idea of a vote of confidence and capital in the CGM feild. "A quick update on our insulin pump partnership with Animas Corporation. We continue to make substantial progress on the joint development of an integrated insulin pump CGM System with Animas Corporation. Our continued goal is to complete all development, clinical and regulatory efforts with Animas and be positioned to launch our first product during the summer of 2009. But, as you are well aware, the timing of regulatory process is uncertain." There is other good stuff like talking about working with insurance for reimbursement, demand for the product, the JDRF study and lots of geeky finance talk. If that stuff floats you boat enjoy the call transcript. 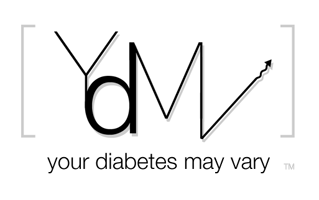 Your Diabetes May Vary and so does the value of stocks I own including DexCom. Hopefully your A1C is more stable than portfolio. LOL.